Imagine Dragons need little introduction. The Las Vegas-based rock band burst onto the music scene in 2012 with three of the defining hits of that year: “It’s Time,” “Radioactive” and “Demons.” Since then, they have been touring the world almost non-stop, capitalizing on this initial wave of success while paving their way forward. 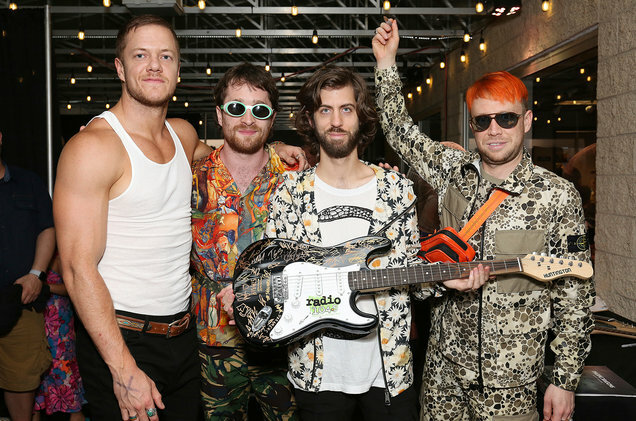 They spent some time refining their sound with the less successful album “Smoke + Mirrors,” before returning with another massive bang in their three “Evolve” singles in 2017: “Believer,” “Thunder” and “Whatever It Takes.” It is very uncommon for a music act to peak twice, but it seems that Imagine Dragons has done the impossible. Their fourth studio album “Origins,” released Nov. 9, 2018, is their form of a victory lap. That being said, there are certainly some moments that are unique for them. “West Coast” meshes their traditional arena rock sound with a more Mumford and Sons style folk instrumental. “Zero,” made originally for the “Wreck-It Ralph” soundtrack, is probably one of the most upbeat pop, fun songs they have made, and pulls the style off flawlessly. With tracks that deviate from the status quo like this, “Origins” is not just an album full of great songs that are representative of all their work thus far, but an album full of unique sounds as well. One criticism that Imagine Dragons have fended throughout their career is that they have become sell-outs. Fans and non-fans alike have accused them of sacrificing their original rockier sound for more pop songs to attain greater success at the sacrifice of musicality. Imagine Dragons address this criticism directly on the masterful bridge of the track “Bullet in a Gun.” It serves to put down these criticisms, accusing people of failing to consider the mentality of the people making music. It is a surprisingly self-aware moment from a band that usually makes songs of general appeal and do not necessarily reflect on their public image. Despite this, “Origins” is not pure gold. It serves as a perfect reminder that there can be too much of a good thing. Once the album hits “Stuck,” it begins to enter a downbeat rock rut. While none of these songs are necessarily bad, the album as a cohesive set may have been a bit more enjoyable if only one of these were included, to prevent the feeling of sameness that starts to arise. “Origins” is not going to win over anyone who did not ever like Imagine Dragons. It is very much an album that is reflective of the music they have been making their whole career. However, for fans, it is a pure triumph from start to near finish. Old styles and some new ideas are blended to make what will go down as one of the stronger albums of the year.